Earn $7.80 in Rewards credit (780 points) What's This? Updated for the group's move to 11 speed, the Rival 22 GXP Crankset brings great performance in a more accessible priced offering. With its forged aluminum arms, the Rival 22 cranks have impressive durability without a huge weight penalty. 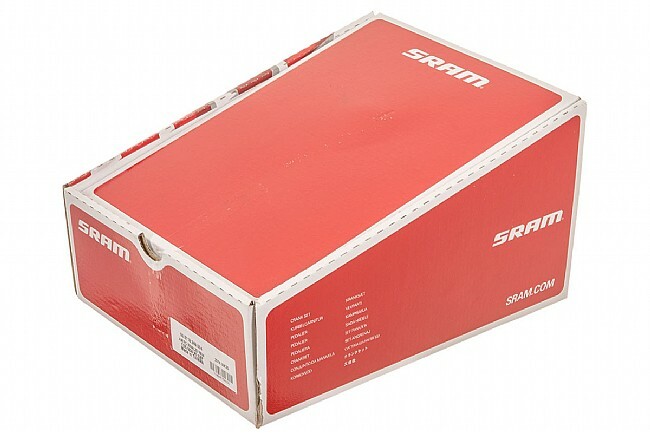 These crank arms are paired with SRAM's X-GlideR chainrings, which are optimized for performance with their Yaw front derailleur. Thanks to this optimization using ramps, pins, and CNC machines shaping, the Rival 22 cranks work seamlessly with the rest of the drivetrain for the best performance possible. 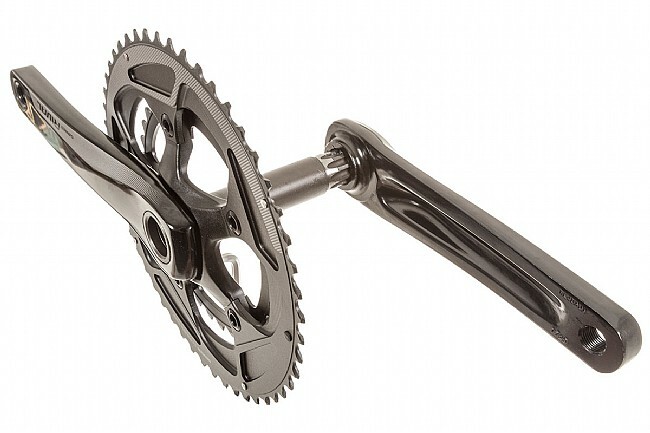 The machined alloy spider is also removable now to allow for use with direct mount chainrings. With its GXP bottom bracket compatibility, these cranks are also ready for use with a wide variety of frames. 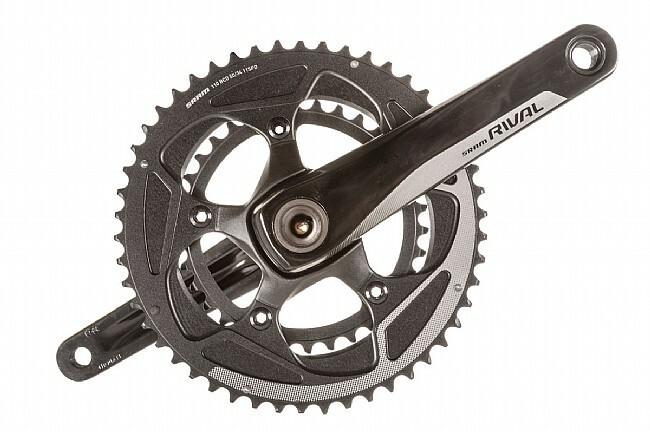 The Rival22 GXP Crankset is available in Black. 110 BCD only. Sizes 170, 172.5, and 175mm. 50/34 or 52/36 rings. Claimed weight 857 grams (172.5mm 52x36 no bottom bracket).